Water is a life giving force for all living beings. To illustrate this point, earth is the only inhabitable planet, a simple reason being – availability of water. Our own body contains almost 75% water. No living organism can survive without water, period. Now that you know the importance of water in your life, let’s discuss the value of clean water. 80% of all known diseases are water borne. This statistic in itself is staggering. 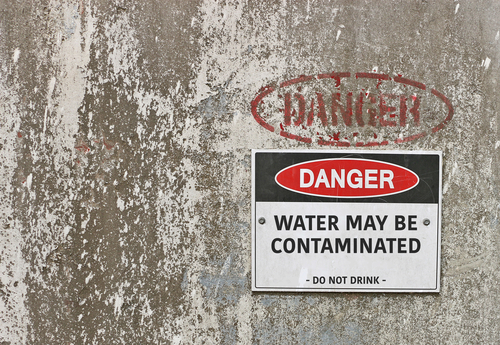 This means that if you’re sick, in all probability it was caused by contaminated water. Now its not just about the water that we drink, you also need to consider the water that you put into use everyday like for washing your clothes & utensils, bathing, cleaning your floor, walls, cars etc. Its not just contaminated drinking water that can make you sick, but the daily use water, which we often neglect, can also do that. Let us share another jaw dropping statistic with you – “70% of the people never get their water tanks inspected/cleaned ever”. People know the importance of water, yet they do not clean their home/office water tanks regularly. Its not just a luxury anymore, in fact, water tank cleaning is a health necessity now. You must’ve heard that stored water can be breeding ground for bacteria. Well its true in the case of your water tanks as well. Although they are closed properly, over-time bacteria, parasites and other viruses may start to thrive in internal environment of water tanks. Rust, scale, dirt, debris can also compound the problem further. Algae growth is another common problem that can occur inside the water tanks, especially in hot weather conditions of Dubai, UAE or Middle East in general. All these factors may lead to outbreak of common diseases like cholera, dysentery, skin problems, eye issues, hair fall and gastro-related issues. To protect yourself from such diseases, it becomes essential to clean your water storage tanks regularly. Dubai Municipality has issued many health and safety guidelines for building owners in which frequent water tank cleaning features much prominently. Cleaning water tanks will not just prevent diseases but also has numerous other benefits. Frequent cleaning of water tanks will reduce the chances of rust forming on your tanks, tank structure deterioration, thereby, helping reducing repair costs. Also, if water tanks are cleaning properly, it helps reduce maintenance costs as it helps prevent damage to water systems, drainage pipes, water pipes etc. Silts, debris etc. is the biggest reason for pipe blockage and water system failures. You’ll also face less plumbing issues if cleaning is done regularly. This will also help prolong the life of all associated water systems (pipes, taps, showers, filters etc) in your homes. There are many companies providing water tank cleaning services in Dubai & UAE – none of them better than SaniH2O. Saniservice has introduced their new service – Sanih2o – which provides Water Tank Cleaning And Disinfection Services in Dubai. Sanih2o is approved by the Dubai Municipality and all its technicians undergo rigorous training to make sure that only the best of the best service you. After the service, we also subject your water to a 3rd party inspection, so that you’re 100% sure that your water is safe for consumption and everyday use. How many companies can boast of such a claim? So if you’re looking for water tank cleaning services in Dubai, do not look anywhere else apart from Sanih2o – Premium Water Disinfection by Saniservice. To get a free water tank inspection, visit us here.